Self-assembled crystalline structure formed using molecules of DNA. 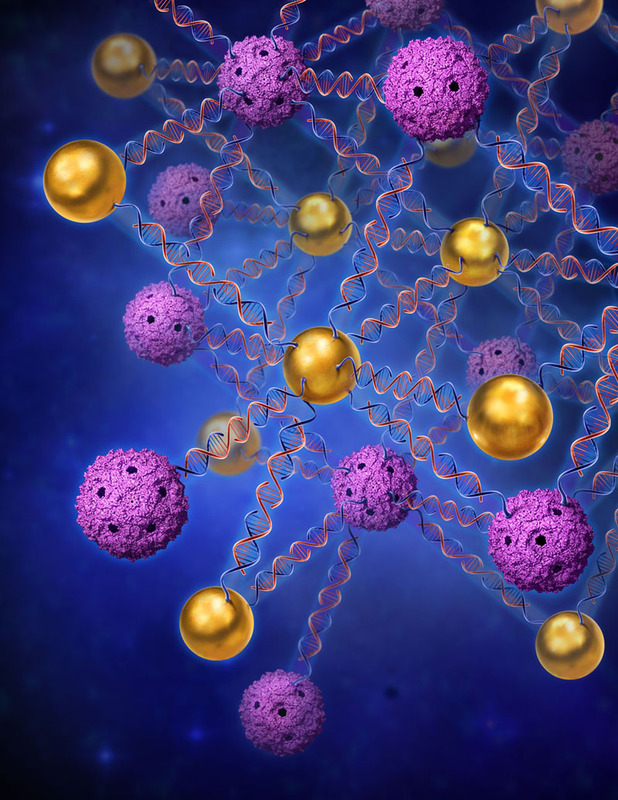 These programmable linkers serve as a “molecular glue” and connect the gold and viral nanoparticles in periodic crystalline lattice. The illustration for young scientist Petr Cígler from the Institute of Organic Chemistry and Biochemistry AS CR.